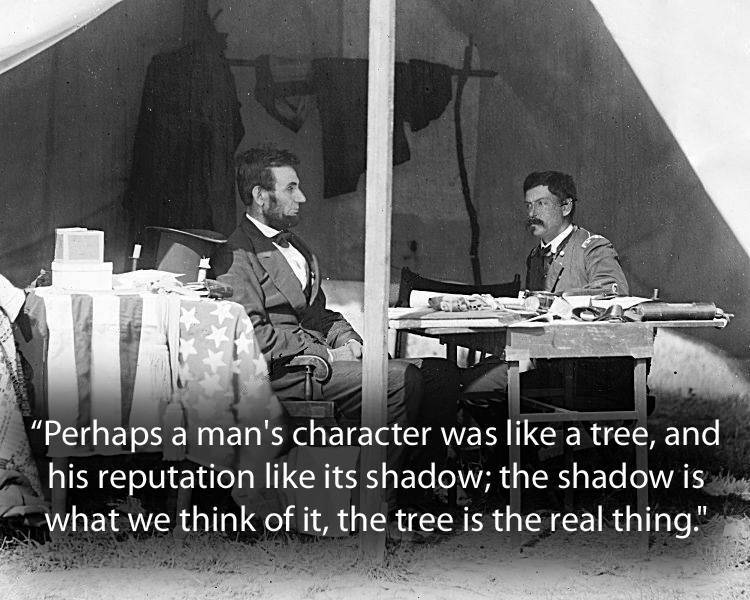 “Perhaps a man's character was like a tree, and his reputation like its shadow; the shadow is what we think of it, the tree is the real thing." 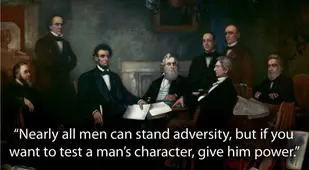 "If the great American people will only keep their temper, on both sides of the line, the troubles will come to an end..."
"Fourscore and seven years ago, our fathers brought forth on this continent a new nation, conceived in liberty, and dedicated to the proposition that all men are created equal." "A house divided against itself cannot stand. 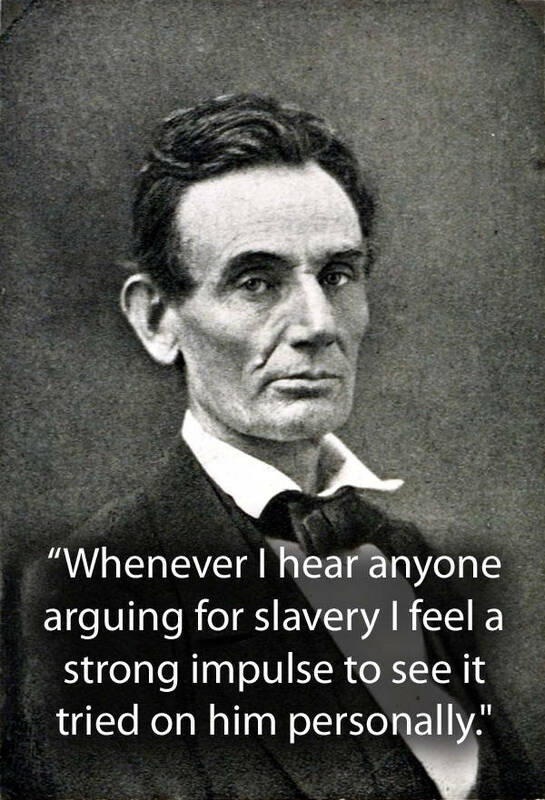 I believe this government cannot endure permanently half slave and half free." “The past is the cause of the present, and the present will be the cause of the future. All these are links in the endless chain stretching from the finite to the infinite." "I have stepped out upon this platform that I may see you and that you may see me, and in the arrangement I have the best of the bargain." "It is not best to swap horses while crossing the river." 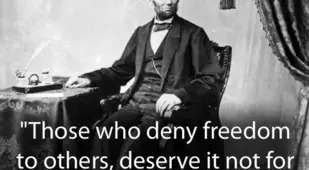 "We must not be enemies. Though passion may have strained, it must not break our bonds of affection." 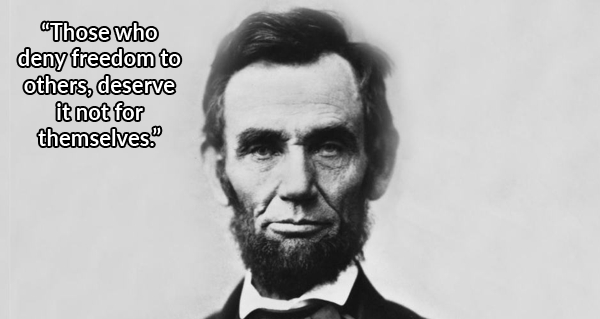 "The legitimate object of government is 'to do for the people what needs to be done, but which they can not, by individual effort, do at all, or do so well, for themselves'." 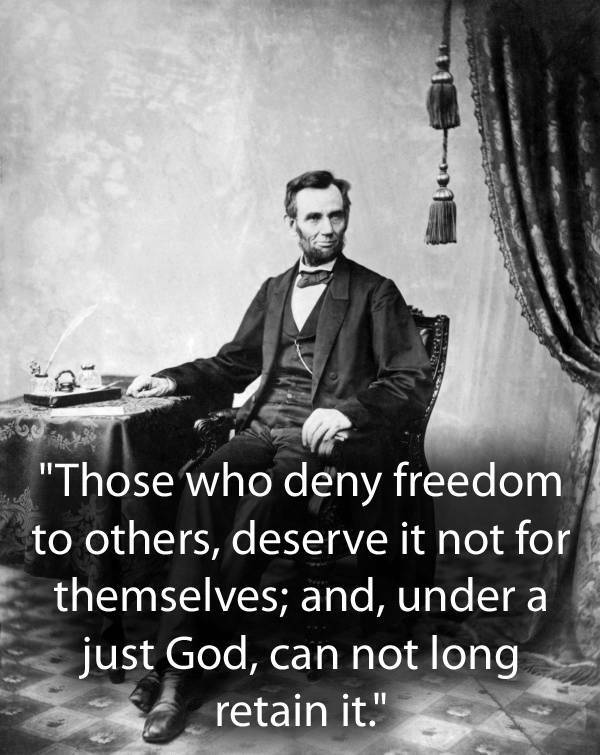 Abraham Lincoln could easily be the most often misquoted figure in American history. 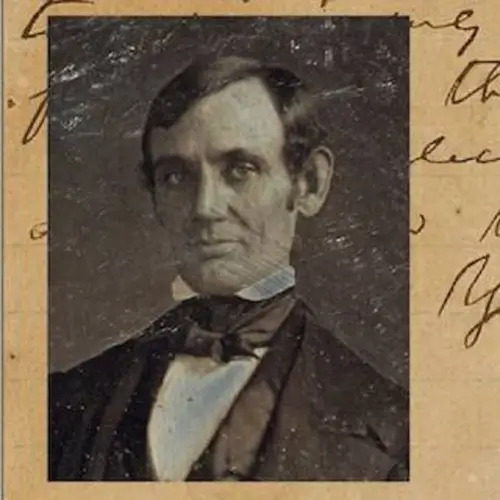 Within just the last decade, we've seen headline-grabbing incidents in which U.S. presidents on both sides of the political divide have deployed fake Abraham Lincoln quotes. 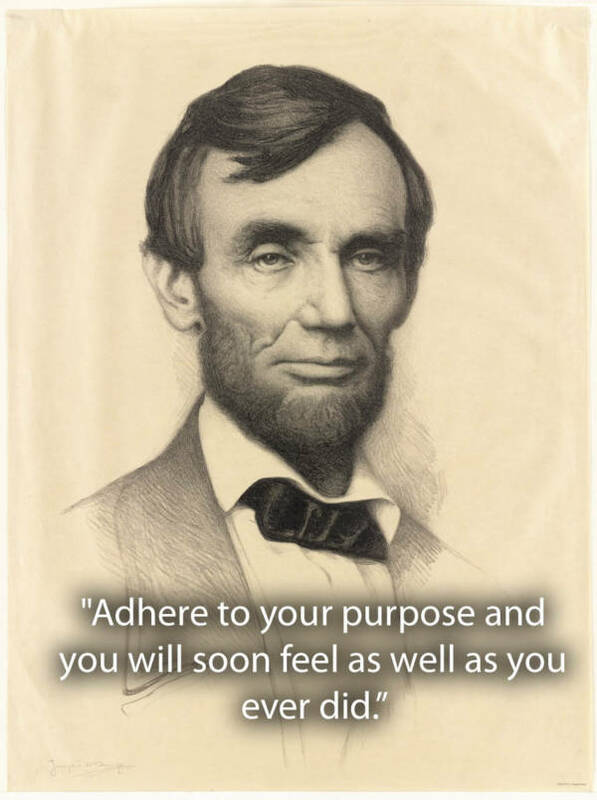 But setting aside the fake Abraham Lincoln quotes that still sound so very good, the man left behind a wealth of verifiable wisdom that sounds even better. 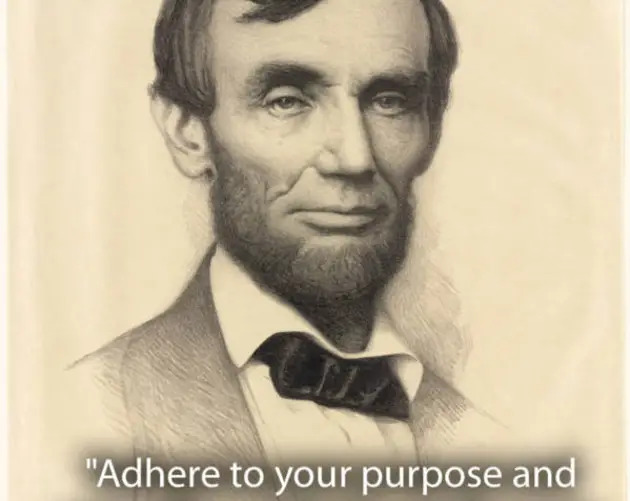 The self-taught lawyer who ascended the political ladder to become America's 16th president in 1861 picked up a lot of wisdom (and a fair amount of odd humor) along the way. 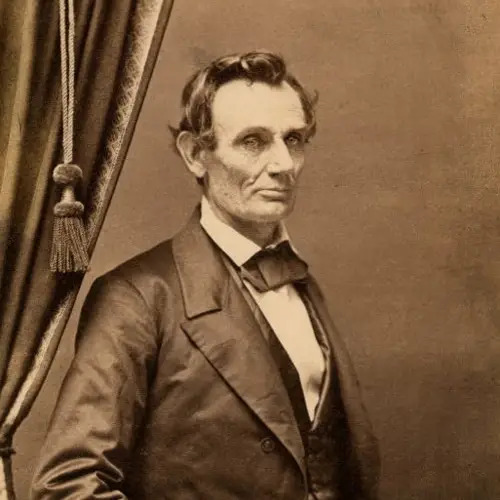 Most of us may know him as the enactor of the Emancipation Proclamation who preserved the Union and had an affinity for tall hats, but Lincoln had a lot to say about humanity, adversity, the role of government, and more. 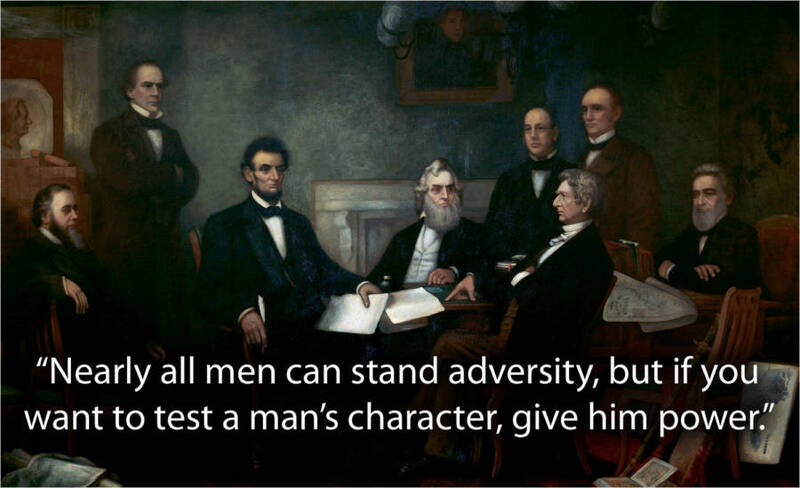 See for yourself in the gallery of Abraham Lincoln quotes above. 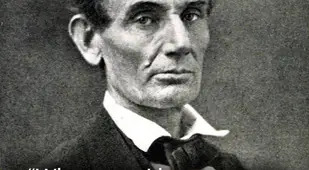 After this look at the most powerful Abraham Lincoln quotes, read the most interesting quotes from history's greatest minds. 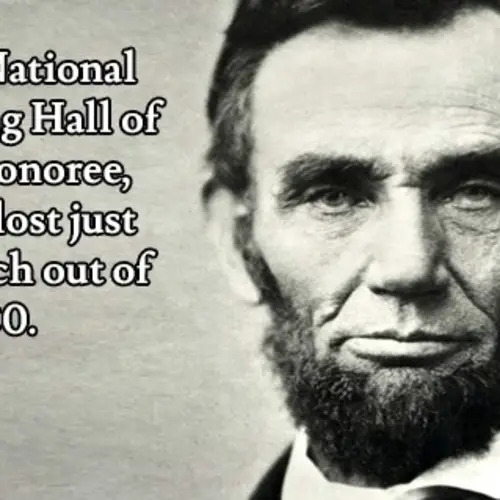 Then, have a look at astounding facts about Abraham Lincoln that most people have never heard.